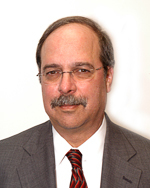 Marty Leshin is President and CEO of Varen Technologies. With over 40 years of experience in the Intelligence Community, Marty is well known and respected by his peers in the industry. Marty formed Varen Technologies in 2005, after leaving Booz Allen Hamilton where he was a Senior Partner for many years. Marty has extensive knowledge with both acquiring and growing business as well as managing the resulting technical and engineering contracts for the Department of Defense and Intelligence sectors. In his spare time, Marty enjoys spending time with his wife and his grandchildren. He also enjoys traveling and playing golf. Marty is an active and involved member of many different local community organizations, including AFCEA. Marty received his Bachelor’s of Science in Electrical Engineering from the University of Akron and a Master’s of Science in Electrical Engineering from the University of Maryland, College Park.